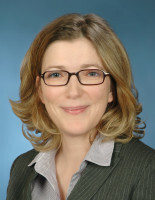 Katrin Kermas is archaeologist of prehistory and classical archaeology. Her research interest is the spatial data analysis. Methodological applications of GIS in the settlement research are a major concern. Since 2012 she is working on her PhD thesis “Methodological studies to the transport systems and settlement structures in the environment of the Rocher des Aures (Drôme/France)”. Katrin Kermas is active in Topoi as doctoral fellow at the Berlin Graduate School of Ancient Studies, PhD program “Landscape Archaeology and Architecture” (LAA). Since 2013 she has been also an associate member of the Topoi Forum Spatial data analysis.